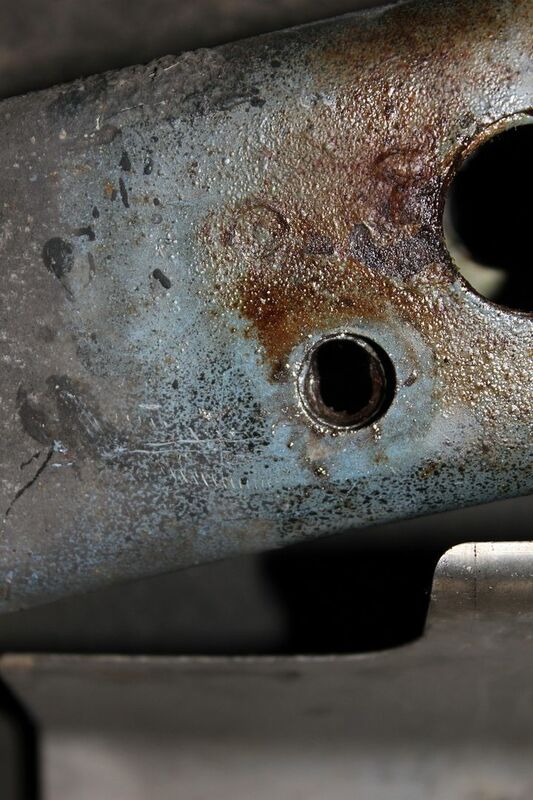 Broke Bolt Ramblings; Took another swing at removing the broken extractor in the broken sway mount bolt last night. Started off by attempting to crack the extractor with a punch, easier said then done.. Wailed on it for a while before giving up on that. Switched to a left handed bit and successfully drilled out the extractor. Unfortunately just as the bit cleared through it bound up and broke off in the bolt as well! Had a little laugh at that one.. Used a punched to knock it through and I'll use a magnet wand to pull the bit's tip out of the drain plug. Not going to attempt using an extractor again and bolt is sheared off flush so no chance to welding anything to it. 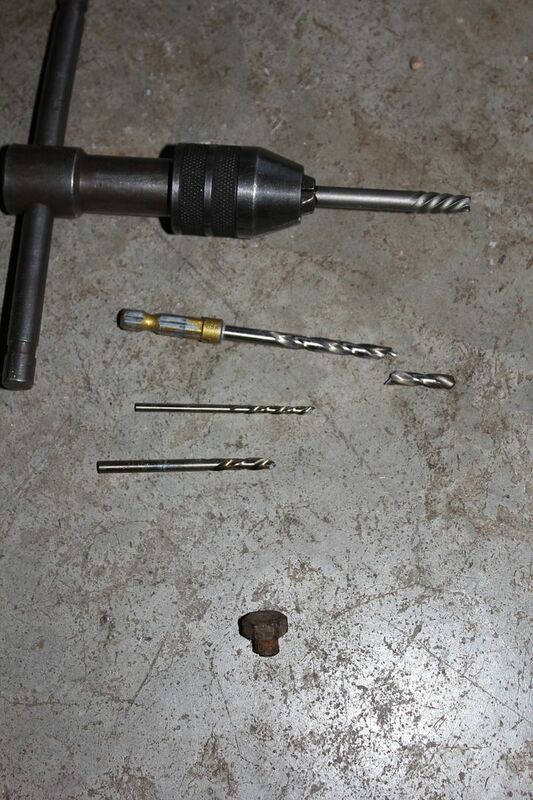 So I stepped up my bit size and started drilling it all out. Drill battery died before getting all the way through though. After I get it drilled I'm going to tap it for a larger bolt if there's enough meat. 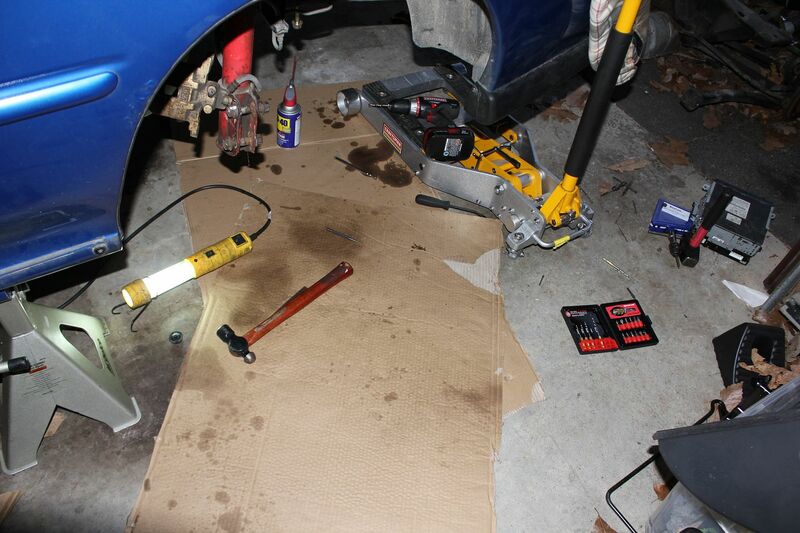 Trying not to use a helicoil, but that's the next step before cutting the trunk floor open to replacing the welded nut. Can't wait to finally get over this hurdle and dig into the rebuild! if your binder's ain't squeakin, you ain't tweakin! Cars looking great, good luck! Looks good. I think the wiring will slow you down the most, but you're already sending it to iWire which is a good choice. 5 spokes look the best between the two. friends dont let friends put stupid GD scoops on their first gen car. Thanks fella's, heading back to the garage after work to hopefully finish drilling out that damn bolt. Snowshoe's slopes are open for 4 more weekends, so I'll be WV bound fri-sun for those. After that I'll be in the garage every weekend and any other chance I can manage. Success! Drilled a bit off center, but there's plenty of meat to tap for a bigger size. Hoping to only tap it 1 step bigger, but may have to go a couple bigger since I was off and took some threads out. Only have standard taps, so I'm going to borrow a friend's metric set and tap it first thing next week. Just a bit off center..
2 months of nothing, all my free time was spent at Snowshoe til mid April. Still haven't tapped that damn sway mount hole.. 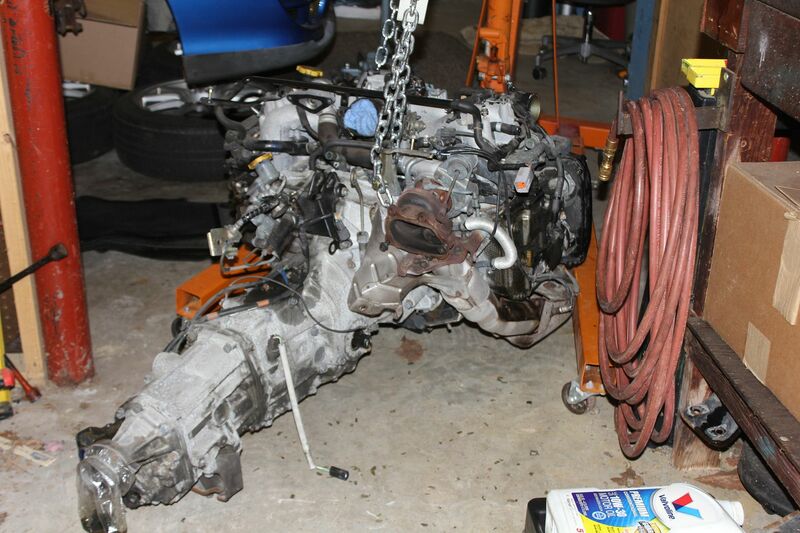 Wanted to move onto pulling the wrx donor apart and getting the shell off to its new owner. 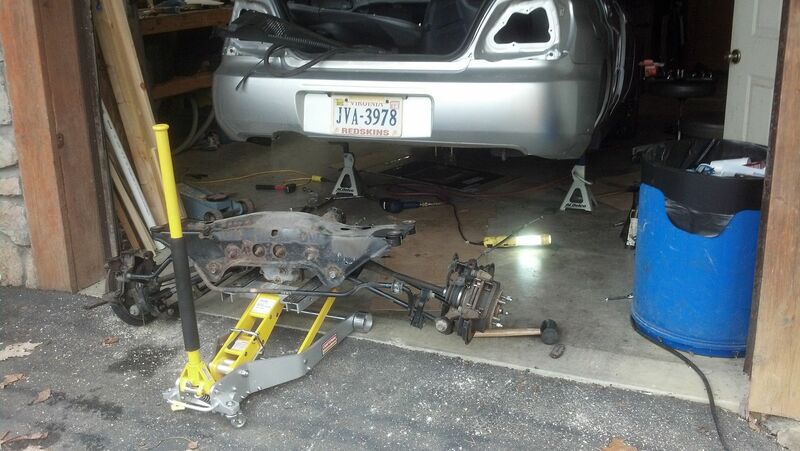 So I dug in last weekend, got the rear end swapped out for my RS rear crossmember/hubs(only cell photo). 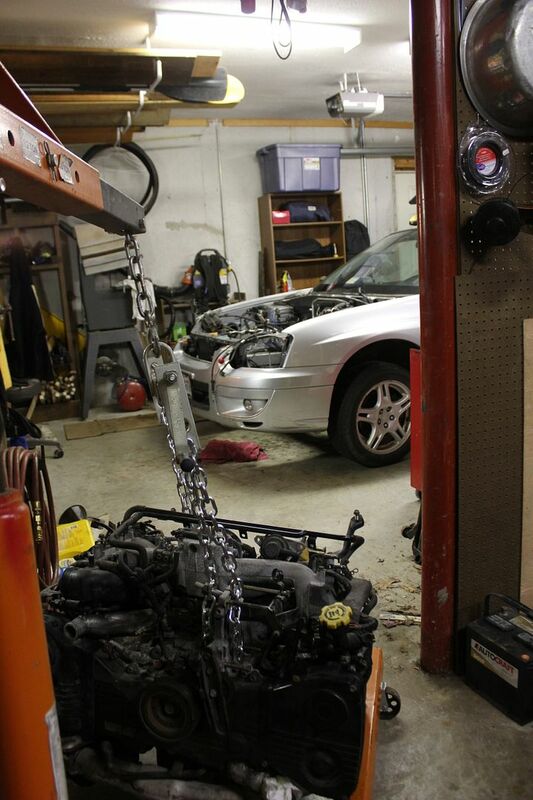 Pulled the engine/trans tonight, and will get the fronts swapped over this week. wow lots of time/money - hope u get it done soon! 'Preciate it SpecR! More time than money in it right now, but I'm not finished just yet..
Got the front crossmembers swapped out on the donor last night. 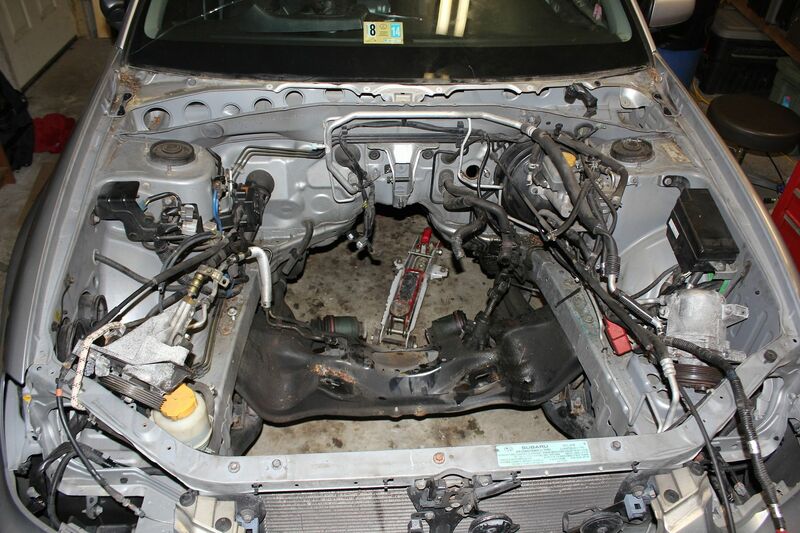 Should get the pedal box, steering wheel, and all engine bay components I'm keeping pulled this Thursday. Then I'll be ready to pass the shell off to her new owner! wooooo!!!! solid build you got here. 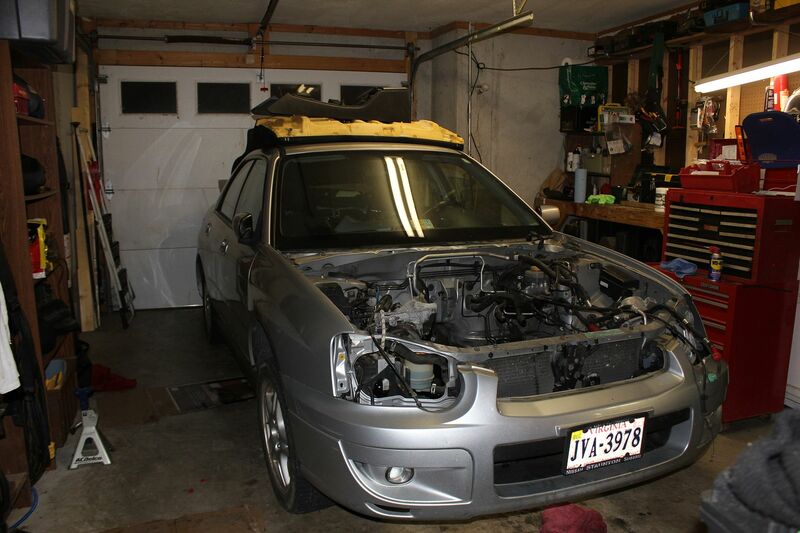 I just finished my sti swap. My shell sat for 8 months and at times I questioned if it was worth the time/money. That first pull on full boost was worth it all!! keep up this sick build.